So, it’s been well over a month since I’ve recapped anything — let’s hope I remember how this works!! But before it rained, there was fun! I got in Friday morning-ish. My plan was to meet up with friends over at the Magic Kingdom, but it turns out that was the first night of the Very Merry Christmas Party so the line to even get on a bus was crazy! I decided then to go to the expo and grab my things instead of doing that Saturday. After getting my loot and dropping it off at the hotel, I headed over to EPCOT for some International Food and Wine-ing instead! Met up with one of my running group friends, Sarah, to get her a key to the room since she was going to be sharing a couple of the nights there. We wandered and snacked. Snacked and wandered. Got back to the room fairly early. I had a breakfast reservation on Saturday and Sarah had a 5K to run! Since Sarah was getting up for the 5K, I woke up early as well and decided to go out for a run myself. 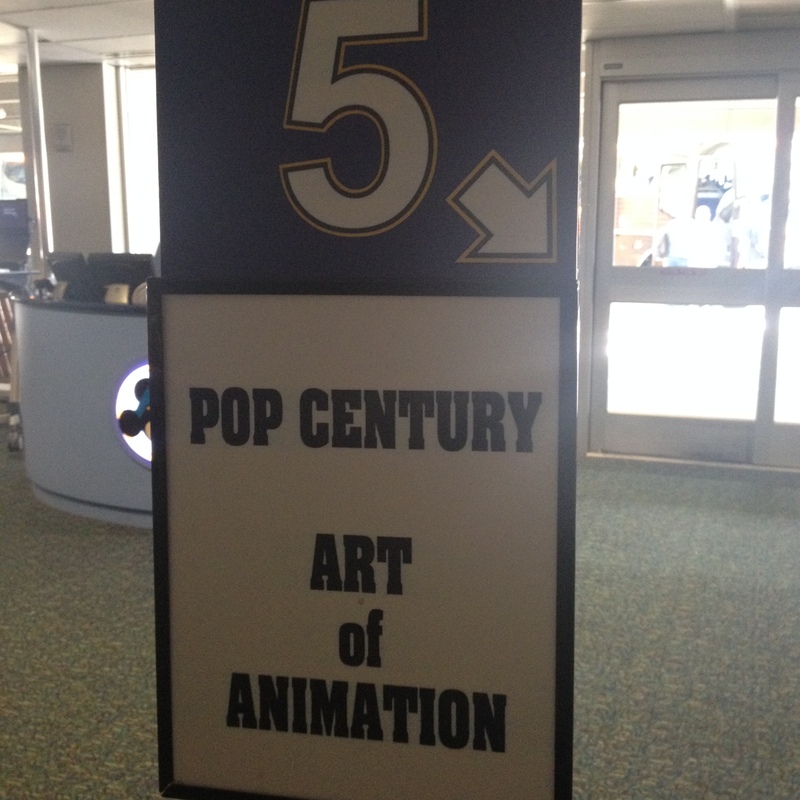 3 miles around the lake at POP Century and Art of Animation – bunnies galore!! And a gorgeous view! Then I got dressed and headed to breakfast. 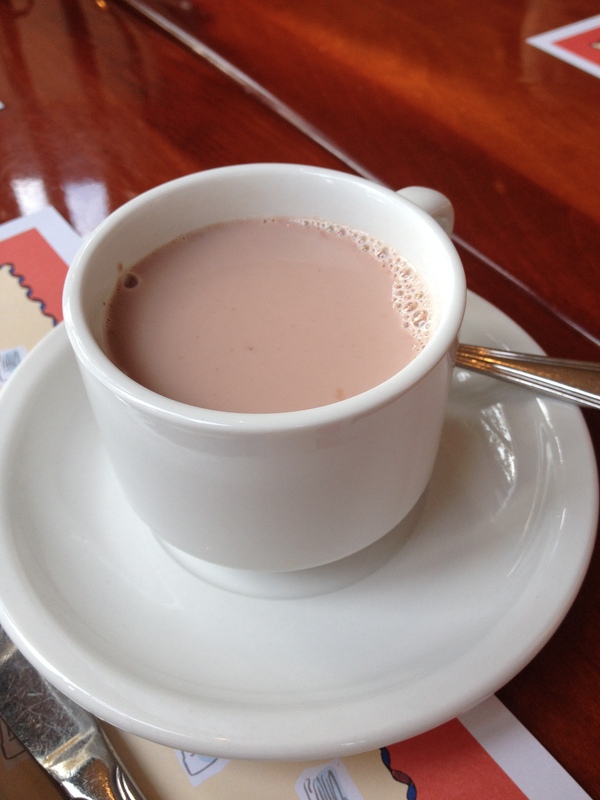 The Breakfast. Ya’ll..amazing! And fun! This is the deal – during Food and Wine, there are different seminars and events going on. 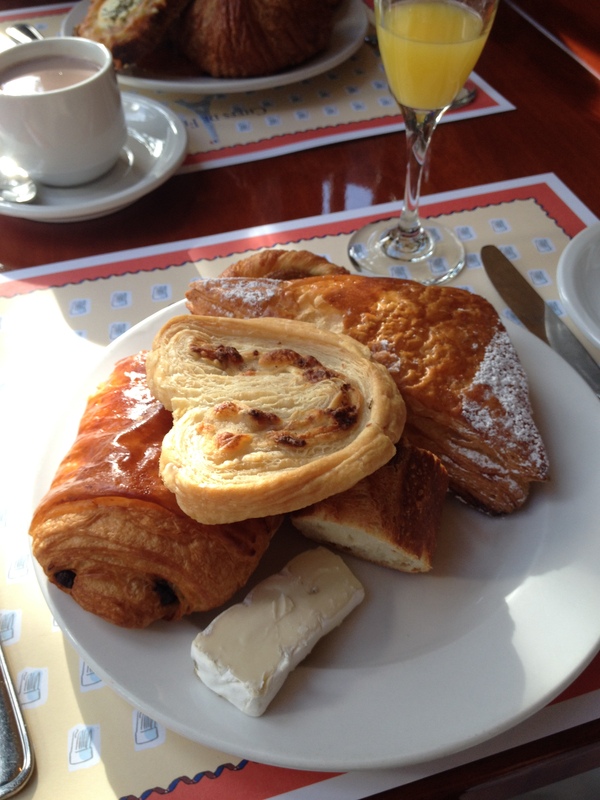 This Parisian Breakfast is one such event! For a VERY reasonable (especially by Disney standards) 39.00, you can have breakfast in France, before the park opens to the public! 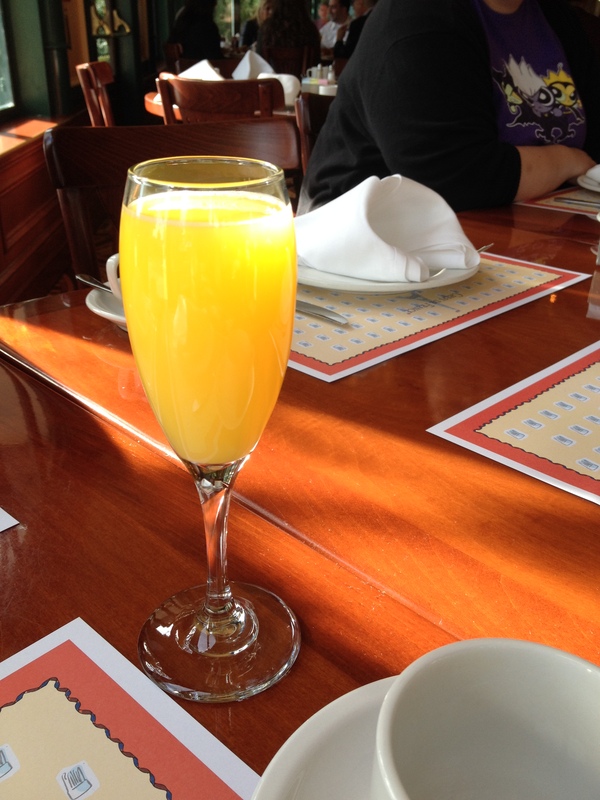 We were greeted at the door to Chefs de France with a mimosa and brought to the table. Mmmmm. Note: this was definitely not a diabetes friendly breakfast but I was prepared! 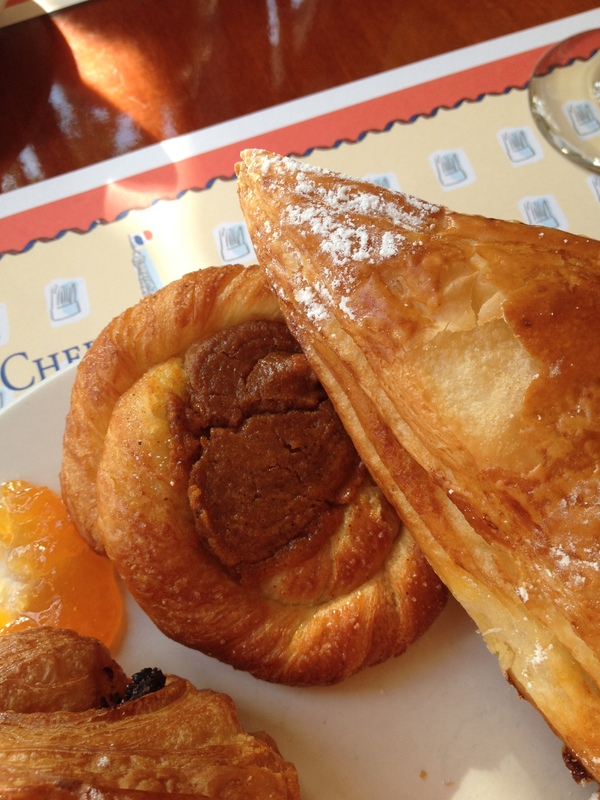 That’s a pumpkin danish…it was tasty. I’m sure le garcon had a huge laugh at me! 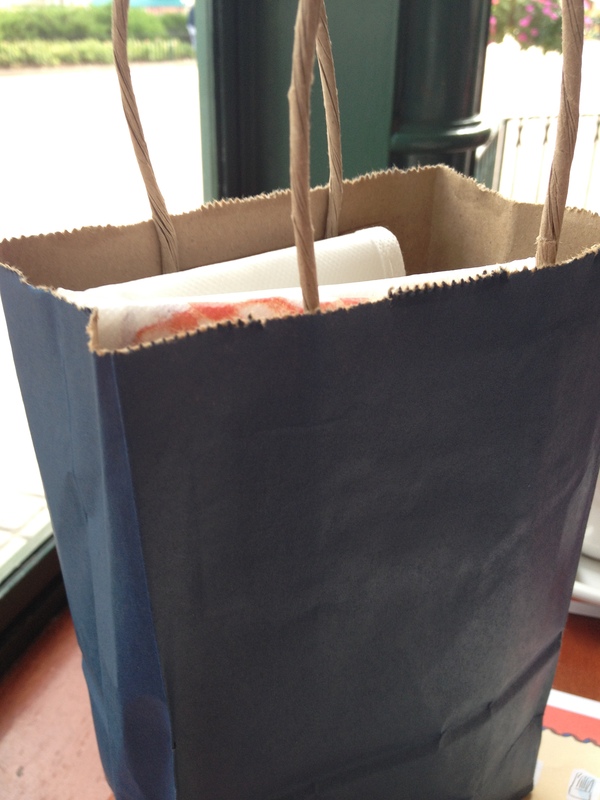 Conversation was wonderful and eventually the deliciousness had to end – we were given a small “goodie bag” with a reusable shopping bag, a small recipe book and some jam! 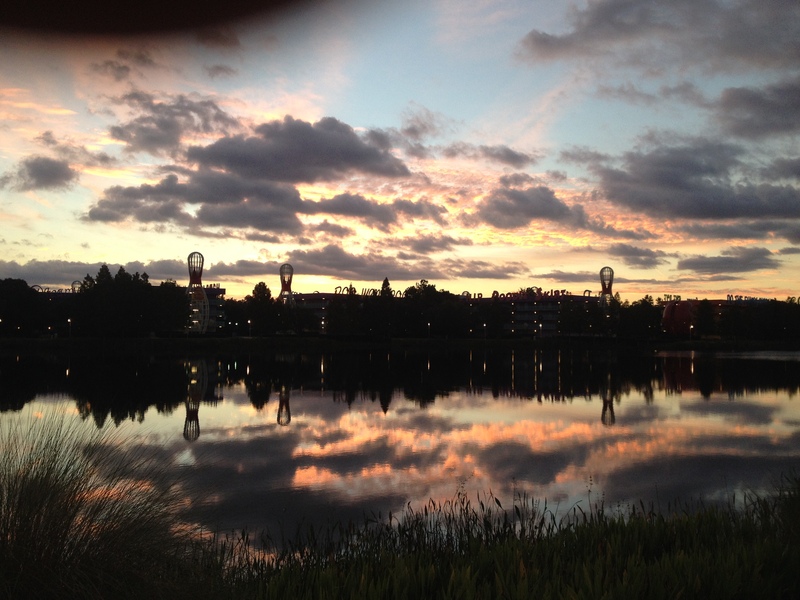 Headed back to POP to take a nap/hang by the pool before finding dinner – a burger at Art of Animation – and getting ready to start the running adventure! Getting in the Christmas spirit! I met up with some more running group friends to get the bus over to World of Sports to start the race. 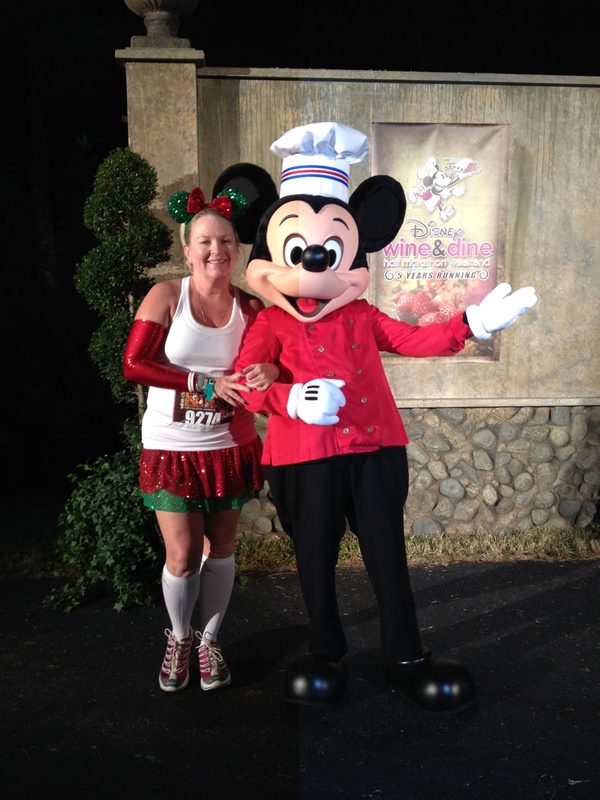 Had some pre-race character picture opportunities before potties and meeting up with the rest of our group! 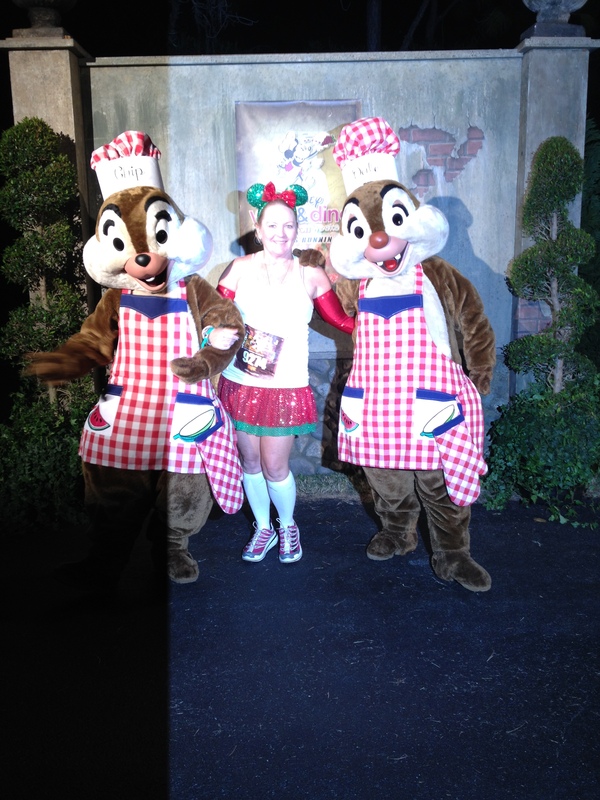 Chip and Dale. And Me. 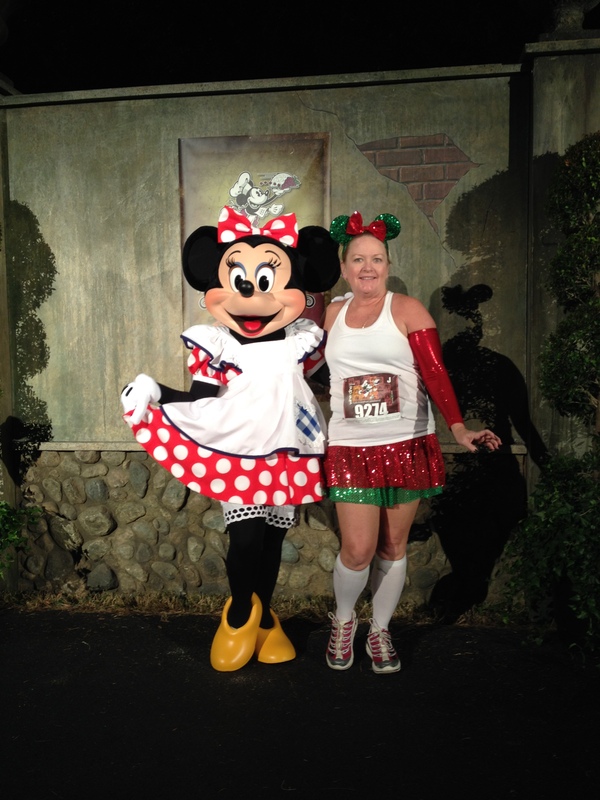 Since we’d had such fun at the Princess Half, Vanessa (from seevrun) and I had decided to tackle this one together. Head over here and read her recap of the event! When we headed to the corrals, Vanessa and I found it nearly impossible to get into place so kind of just followed the crowd. OR…maybe one of us suggested we slip in at the back of the corral in front of our assigned corral (let the haters hate now!). 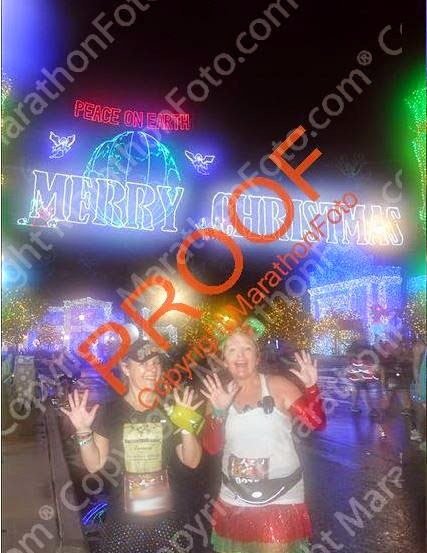 By now it had started drizzling, then raining, then drizzling….thankfully I had a plastic poncho so managed to stay dry most of the time – I eventually threw it away around mile 10 though! 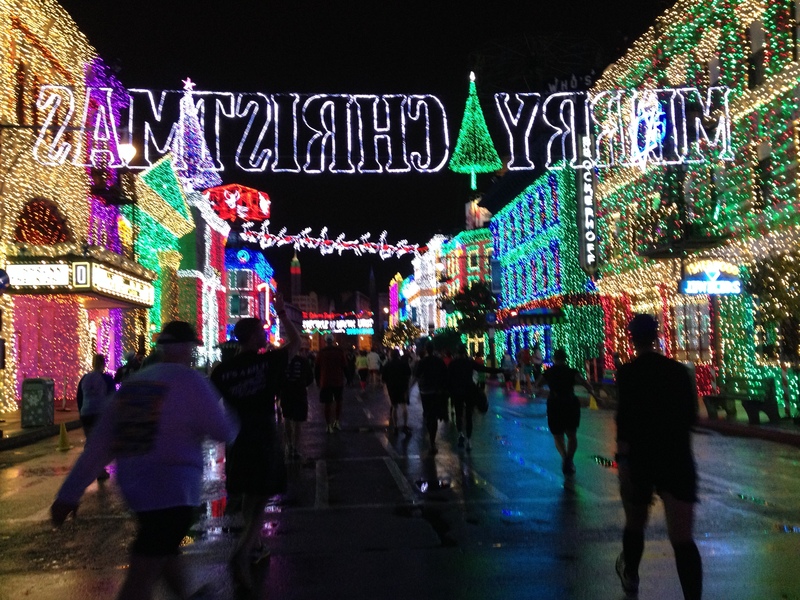 Running Disney at night is a completely different experience than running in daylight! 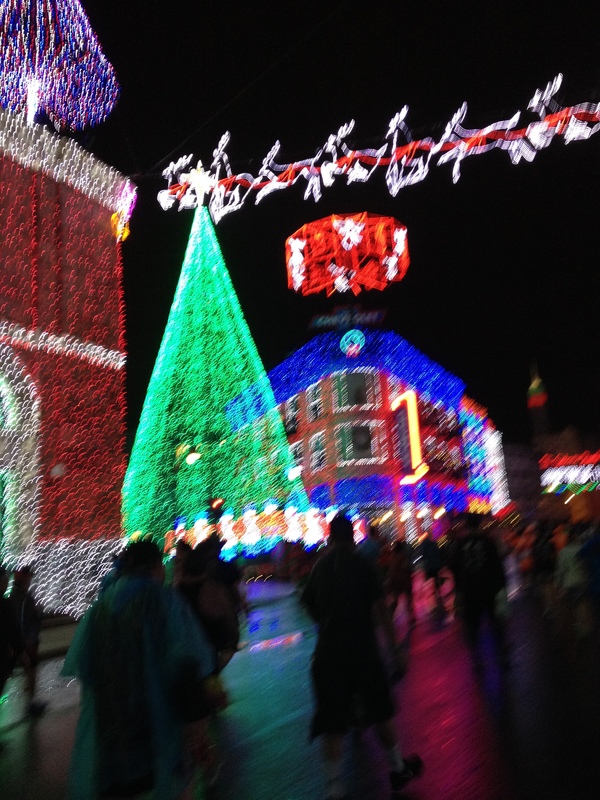 For Wine and Dine, one of the BIGGEST and BEST differences is the Osborne Family Spectacle of Dancing Lights. And, it must have been an early Christmas miracle, because for the briefest moment, the rain stopped and we were able to get some pictures! We met up with friends at the end after changing into dry-ish clothes. My bag had gotten a hole in it so some things were a bit damp! 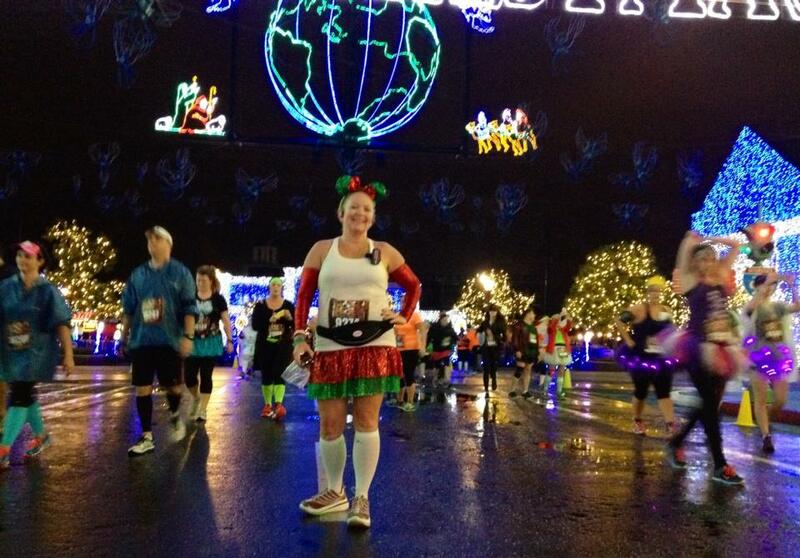 We didn’t venture much farther than Mexico — and our post-race supper was nachos! 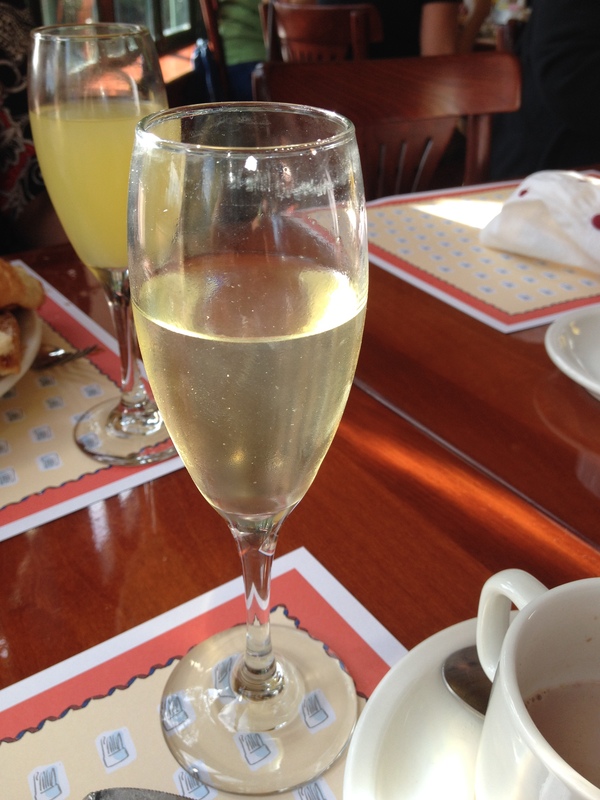 The night was really winding down – or the morning was winding up! – and it was time to catch a bus back to the resort. Turns out, our bus driver didn’t know where she was going so it took us a little longer to get back — once in, I hung up all my things to dry and hopped into bed for a few hours of not-exactly-sleep before a couple more days in the parks!! Hopefully you decided to jump in!! It’s always a fun weekend!! 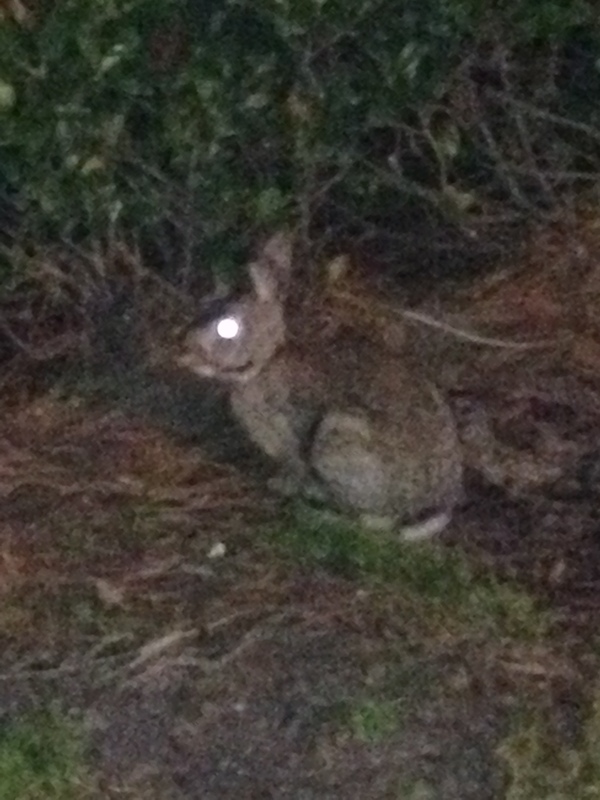 I’m still stuck on bunnies galore and being greeted at the restaurant door with a mimosa! Sorry your race was so wet – I can’t even imagine. But it looks like it didn’t get you down too much! Thanks for linking up with us for #MagicalMonday! It was full of awesome!! Thanks!! And a Super New Year to you too!!! 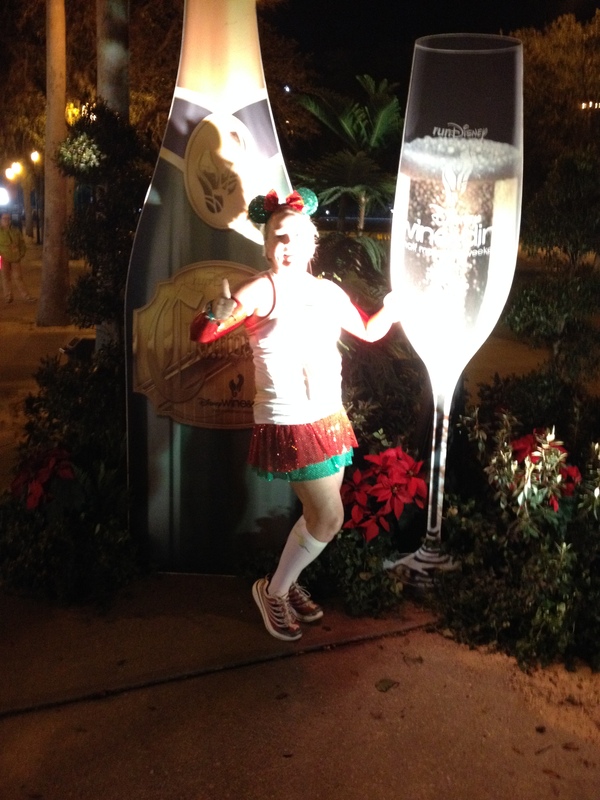 One of my goals for 2015 is to run a half marathon During Walt Disney World’s Wine and Dine Weekend! 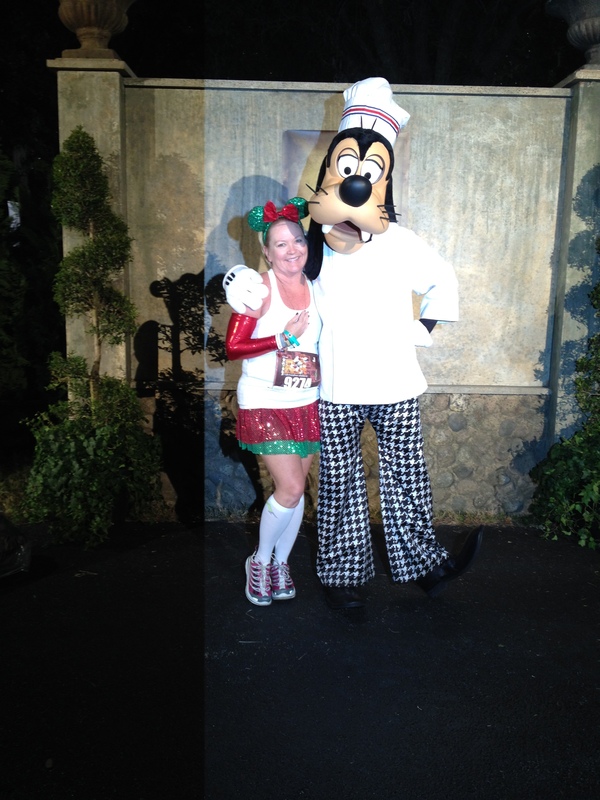 Here is a great blog post detailing this gal’s experience! She has a great blog. Check it out! I’m planning to do Wine and Dine in 2015. Thanks for sharing!! You will love it! And hopefully there will be no rain!! I hope you had a great time at Disney — and look forward to following your journey to Dopey!!! 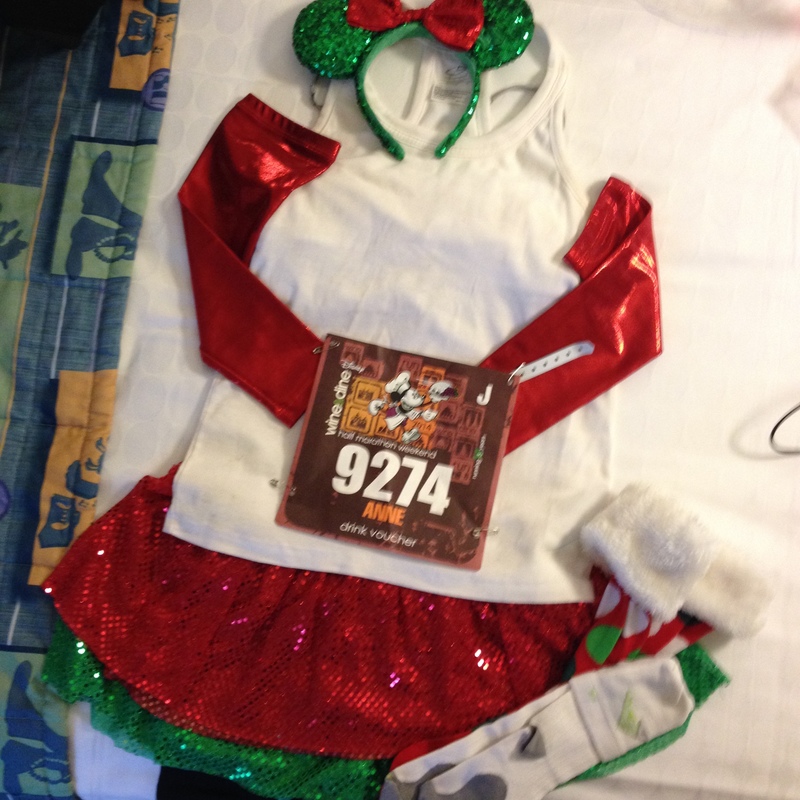 I was thinking about running this race some day – it sounds like a lot of fun! Even with the rain you got some great pictures. And your costume was so cute! Usually we get a lot more pictures but no one wanted to get our phones out of the plastic bags!!! Thank Goodness it stopped when we got to the lights! !